WebRadio added to available background music sources. Thousands of web radio directly available from the mGalaxy interface. Extended gamepad/joystick controller compatibility (no more limited to Xbox 360 controller only) Mouse compatible interface (no more limited to keyboard or gamepad) Theme customization: all themes now come with a setting panel. mGalaxy_Updater: new application to update/patch mGalaxy on new release. mGalaxy_Runway: Runway now trims logo images with a transparent pixel border. mGalaxy_Runway : auto folder assignment. Happy Holidays everyone! First off today we have an update to the Commodore Amiga video snaps pack bringing the pack to version 1.9. This update adds 27 new video snaps bringing the total number of videos for the Amiga to 1,808. Videos are available in Standard Quality on the EmuMovies website and in High Quality on via the EmuMovies FTP and Sync service. Continue past the preview for all the juicy details. A: This has been a long time coming and that’s because we’ve spent extra time adding the features you wanted into the next evolution of gaming front ends! A: This is the most advanced FE ever written by the best in the scene. In development for over 5 years by coders with over 25 years in FE and arcade app development combined! 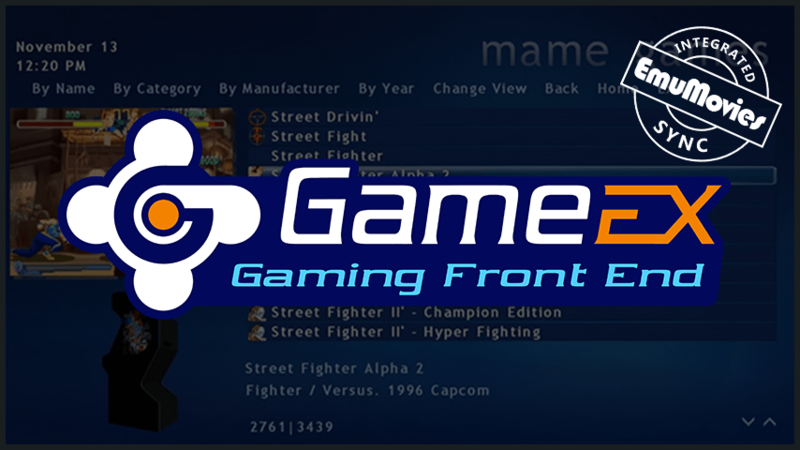 A: This is a creation born out of love and passion for the retro arcade and emulation community. The cost was great but it’s our gift to you and this is only the beginning! Q: Where is feature X your promo video promised? A: We have included every feature we promised except for the Theme Editor. It’s still in production. Let us know if you’re interested! Q: What about native HyperSpin theme rendering? A: It’s in there we just don’t think it’s that important. We’re not trying to be HyperSpin but we’re fans of the project – hi Bill! A: While we think it’s a pretty cool project we think if you’re paying for a FE like ours it should all be integrated. That’s why our Setup Wizard does everything! No 3rd party tools required! Q: What’s the future of GameEx Evolution? A: Very bright! But we need your support and for us to succeed we need your help to get the word out. So don’t just sit there, tell everyone the good news! Q: I need help or have a question!